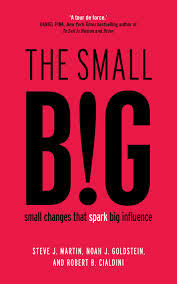 In this amazing book, the writers focus on small things that can make a BIG difference. The contents list 53 chapters – each between 4 and 6 pages long. Each one looks at one or more studies and then considers the implications. The emphasis is on those little elements that make us tick. Social proof is one of them. Remember the busker? Instead of telling our students to do something, perhaps we could get a student to ‘model’ the desired behaviour. The findings are often startling. For instance – how do you reduce no-shows for doctors’ appointments in hospitals by 57%? Easy – peasy: just send people a reminder sms with their first name in it! (p. 35) First names = attention = compliance! So what about us? Do we always use our students’ first names? Even when providing written feedback? 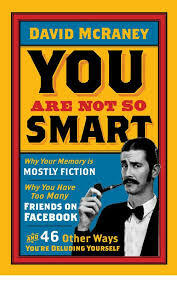 Pictures (p. 47): if a picture is included alongside a text, the brain processes the info more easily and swiftly. Moral: add pictures to your texts! 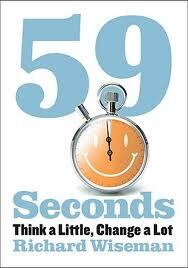 Arousal (p. 27): heightened arousal contributes to positive feelings (a spill-over effect). Moral: if we include high-arousal activities in our lessons (e.g. debates – competitions – games like ‘wall dictation’) students will like our lessons more. 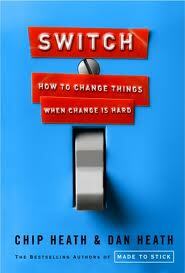 Change (p. 205): the brain notices changes; if things are ‘normal’ it runs on auto-pilot. Commercials employ rapid cuts and fast motion to ‘wake us up’. Moral: Short, fast tasks and a change in the nature of activities means that students are more alert and they retain more. Rationale (p. 158): advertisers routinely translate product features into benefits (‘X has Y, which means Z’). There is a good reason for this. Moral: Explain the rationale behind the activities to students. What is obvious to us, is not necessarily obvious to them. Technology (p. 39): “most people lack the time or the patience to go up a long learning curve with a new device”. This goes for both students and trainee teachers. Moral: Technology should be a means to an end for us teachers. Keep it simple. Feedback (p. 50): Findings from Market Research suggests that many people do not know how they feel or what they think about things – or they will give you the ‘right’ answer or the one they think you want. Moral: ‘Don’t ask – can’t tell’. For feedback it is often best to rely on indirect methods. Negative Feedback (p. 120): How do we handle negative feedback (from students / parents)? Perhaps we could use the Apple ‘Feel – Felt – Found’ technique: ‘I know how you feel, I felt the same in the past… but now I have found…’ Excellent! 🙂 Moral: Notice the ju-jitsu technique – you do not contradict them directly! ‘Miryokuteki Hinshitsu’: What blew my mind away completely however was a distinction between two terms in Japanese: ‘Atarimae Hinshitsu’ vs ‘Miryokuteki Hinshitsu’ (p. 247); the former describes ‘standard service’, the latter what makes you go ‘WoW!’. Our goal should be ‘WoW teaching’. Any day. 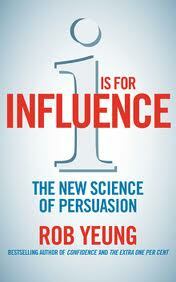 ‘Liking’ (p. 143): The more likeable someone is, the stronger their power of influence. Moral: get your students to like you – they are more likely to learn from you and make a greater effort. 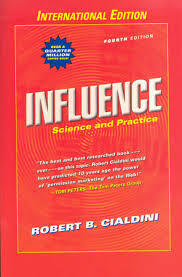 ‘Authority’ (p. 178): We are more influenced by people we perceive as knowledgeable. Moral: make sure your student know your teaching credentials and give them the rationale behind your methods. 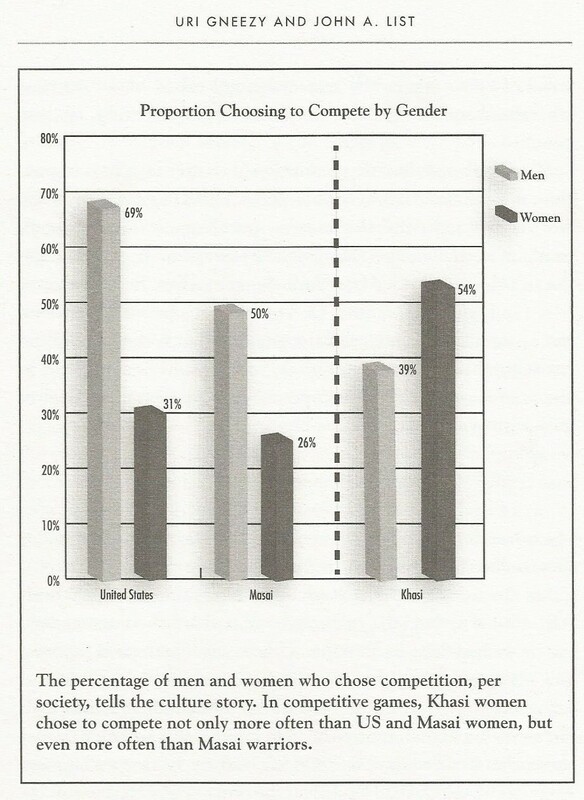 ‘Social Proof – Consensus’ (p. 98): We are easily swayed by what (many) others do; esp our peers! * Moral: instead of telling students what to do, it is perhaps better to tell them that their friends are doing it! 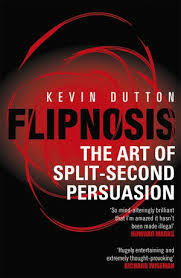 ‘Consistency’ (p. 52): We use our earlier behaviour as a guide for what to do next. Moral: if you get your students to adopt a desirable behaviour once or twice (for whatever reason!) they may well go on behaving in the same way! Knowing how busy we all are, Professor Wiseman set himself the task of summarising a huge amount of accumulated Psychological knowledge in ten short chapters, the summaries of which one can read in 59 seconds flat! Topics covered include ‘Happiness’, ‘Attraction’, ‘Personality’ but also ‘Creativity’, ‘Motivation’ and ‘Persuasion’. Readers are not disappointed. Looking at ‘Happiness’ first, surely there is nothing wrong with using activities which both help the students’ English and make them happier into the bargain? On p. 20 we are introduced to a rather unusual diary writing task, in which students are asked to think back to great times in their past, reflect of the many things they can be grateful for, and imagine fabulous times in the future. Putting things into perspective and creating a healthy ‘narrative’ about your life has been found to make people considerably happier. The section on ‘Happiness’ contains some amazing, ready-to-use activities for the ELT classroom. In a task which would warm the hearts of all humanist educators (p. 30), psychologists got groups of children to write nice things about each other and present their classmate with their ‘plateful of praise’. Not only does this contribute to overall feelings of wellbeing, it has the additional advantage of boosting class cohesion. There are implications for teachers in almost all chapters. In the one on ‘Persuasion’, Wiseman quotes a study in which four charity boxes were placed in large stores (p. 70). Each one bore a different message. The most successful one was ‘Every penny helps’ (62% of all takings!) Researchers thought that people often refrained from giving as they thought their contribution would not make a difference and the message countered this. Could it be that our students feel the same? I believe that if we get them to do little things, this might lead them to try harder later. ‘We overvalue our work’ (p. 83). People who were taught origami and shown how to construct paper cranes or frogs, judged their creations as a lot more valuable than other people did. The implications for teachers are huge: project work of all kinds is a lot better than getting students to do endless exercises – the latter are not something they can take pride in, as they feel their contribution is so small *. ‘Having created something, we want people to see it’ (p. 53). In a fantastic experiment, people told to construct Lego robots lost interest a lot faster when the robots were dismantled as soon as they had completed them than when they were told they would be disassembled later. The moral: although students may get all the linguistic benefits from having their essay/story marked and returned, in terms of motivation it makes a huge difference for us to display it in class. 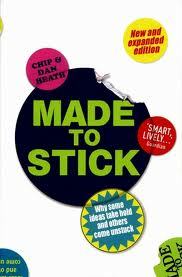 ‘We prefer our own ideas to those of others’ (p. 107). In an amazing study, subjects favoured the ideas they had generated themselves, even when it was in fact the researchers who had given them these ideas in sentences a little while earlier! The moral for us is clear: rather than assigning H/W for instance, why not ask the students themselves what they would think it would be best for the class to do? I believe this book should be compulsory for any educator. Indeed I will go a step further – I think it may well be more useful to us than any single book on EL Teaching. 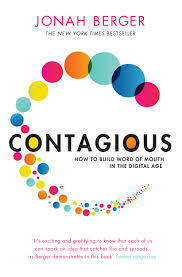 The book is about effective and persuasive communication. The Heath brothers start with the Q: ‘Why is it that some ideas are so memorable?’ A: Six key elements [SUCCES]: i) Simplicity (Keep it simple!) 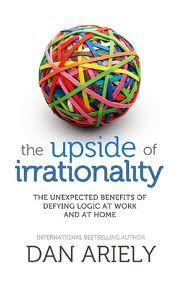 ii) Unexpectedness (Surprise = retention!) 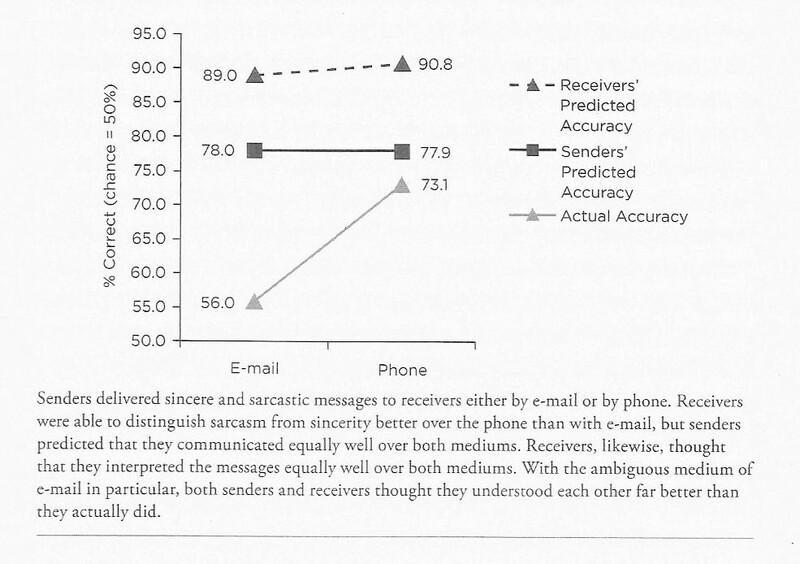 iii) Concreteness (Avoid abstract or ‘deep’ messages) iv) Credible (Is it believable?) v) Emotions (It is emotion, not reason that makes people act!) vi) Story (The most memorable messages are in the form of a story). The two brothers also give us a host of useful tips on how to make our presentations / articles interesting (which is of course of immense value for our Business English students!). Here are a few research-supported findings: a) avoid obscure language (p. 106) b) including details makes your argument more convincing (p. 139) c) ‘translate’ statistics down to the human scale (the human brain cannot cope with huge numbers! – p. 144). Q: What does a book on ‘Selling’ have to do with teachers?!? A: A great deal apparently! 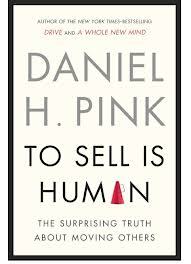 Pink starts by pointing out two facts: a) the fastest growing fields today are Ed – Med (Education and Medicine – ok, we sort of knew that) and b) an incredible 40% of our time is spent in non-sales selling!! We sell clients on how great we are and we sell learners on English! That involves a lot of presentation, communication and persuasion skills. Pink can help us with all three of them. …Facilitation (p. 142): In another study, students who had been singled out for their pro-sociality by their peers, were asked to contribute to a food drive for charity. The same was done with others classified as ‘selfish’. The results: 8% of the former but 25% of the latter donated food! Why? The ‘selfish’ students had been given clearer instructions about what to donate and when! (Moral: motivation aside, direct behavioural instructions [‘Do this!’] can go a long way towards ensuring compliance). 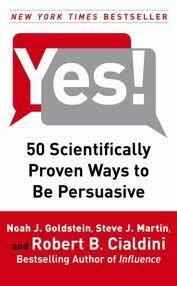 Incredibly, from an informal survey I did, this book does not come up among the top 5 on how to the science of persuasion – but it should! The book’s easy-to-read, humorous, direct style might suggest you can finish it in a day or two, but not if you want to make notes of all the important stuff! 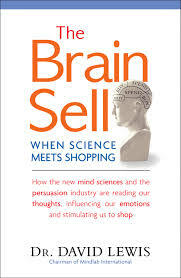 In a simple yet elegant study (p. 254) researchers asked random passers-by to take part in a market research. About 75% of them agreed. On another occasion however, the figure went up to 90%! How did this happen? Easily; research assistants simply added the words ‘You are free to accept or refuse’! (Moral: Pointing out to students that certain assignments are optional avoids triggering ‘Psychological Reactance’). Motivation of course if a major concern for us teachers. In a brilliant study (pp 190 – 192), Business students were given a text to read. Some were told it would help them with their ‘personal development’; others that it would help them with their future career. The results: not only did the ‘intrinsic motivation’ group do better than the second one (by about 24.5%) but they also showed a long-term interest in the topic to a far greater degree than the others! (Moral: we may be tempted to ‘sell’ activities to our BE students using ‘extrinsic’ reasons, but intrinsic motivation is far more effective). MIT Professor Dan Ariely needs no introduction; he is one of the biggest names in the field of Behavioural Economics. 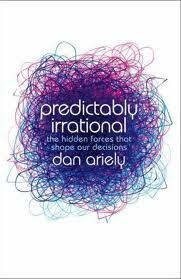 Ariely studies the way we think, decide and operate – and in chapter after chapter he shows that we are far from being the rational creatures we think we are! This leads to the hugely important subject – expectations: quick Q: would you like a beer with a drop of balsamic vinegar in it? (p. 159) A: It depends on whether you know it in advance or not! If you do, chances are you are going to dislike it. Expectations colour perceptions. How many times has this prejudiced us against certain students? Ariely’s interests range from beverages to education. Here is another Q for you: which students do better in academic work: those who are free to choose their own deadlines, or those where the professor ‘democratically’ decides for everyone? Incredibly, it is the latter! (p. 115) This finding may go against our cherished beliefs, but in fact it ties in very smoothly with notions of ‘ego depletion’ (Baumeister). The very process of deciding exhausts us, with the result that we are both more stressed and produce poorer-quality work. Ariely writes in the simple, effortless and straightforward style that you find among people with a real command of their subject. Rather than bombarding the reader with studies and facts, he goes through each experiment in detail, ensuring that the reader manages to grasp the key concept in all its fine details. He then goes on to consider the possible applications of the findings in various fields of life – not just work. Yet what I like best about this book is that he also uses examples from his own life – sometimes funny, sometimes poignant. This book is all about change. Now think of a human being as a rider on an elephant; the rider is our rational side; the elephant is our emotional side. OK – how do you get them to move in a certain direction? 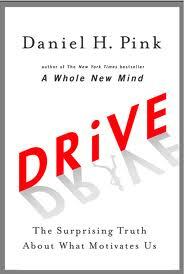 Heath & Heath look at three key ideas: a) you have to motivate the elephant – to get it to want to change its course. Logical arguments do not work with the elephant; what you need is an emotional appeal! b) Assuming the elephant is willing, you can then address the rider. The rider likes logical arguments, but tends to overanalyse and suffers from ego-depletion and choice fatigue; s/he needs clear, behavioural instructions (‘Do this!’). c) An interesting alternative is to also shape the path – so the rider and elephant go down the track because it is easy or because it is the natural thing to do! How can we use all this? a) Imagine you are addressing a class of low-level Business students; ‘In 6 months’ time, I am going to invite here a group of my NS colleagues for drinks and you are going to be able to mingle without using the L1 at all!’ Now that should motivate them! (PS: If you say this, make sure you actually do it! 🙂 ) b) When setting H/W, telling learners to ‘Study the vocabulary’ is too general; it helps if you specify: i) which words? ii) how should they study them? iii) how many times? c) Incredibly, if as part of H/W you ask students to use a new web tool or a site which requires them to register, they may give up! So make sure they do it in class and they get to feel their way around a little before going home (when something is new, the elephant can be easily demotivated). The writers draw on research from Psychology, Behavioural Economics and related fields to illustrate their ideas and provide a wealth of case studies mostly from the world of corporations and NGOs. Now here is a study I found fascinating (p. 182): researchers asked university students to identify some of their dorm-mates who were either ‘very charitable’ or ‘rather selfish and unlikely to donate to charity’; they then approached the two groups, informed them about a food-drive that was taking place and asked them to donate some. The ‘charitable’ students received a general letter with all the necessary info, but the ‘selfish’ ones got a more detailed one which included a map and a specific request for a can of beans. The results: 8% of the former but an astonishing 25% of the latter made a contribution! There is a lesson for us all there – clear that path!! In terms of value for money, practicality, directness and ease of assimilation of the material this is the best book around in my opinion. It consists of 50 mini articles – each one about 2-3 pages long. Each one is based on one or more scientific studies and there are references at the back of the book. Following the description of the study and a brief discussion of the principle involved, the writers have considered possible applications – in the vast majority of cases in the world of business. The style of writing is clear, jargon-free and humorous. There are simply dozens of ‘take away’ messages for us teachers. Clearly, that hint about interviews might come in handy to us too and the fluency principle is vital whether we are presenting a new strategy or a new Web tool – if something looks too complicated students will shun it. The Franklin principle has immediate applications everywhere; to paraphrase JFK ‘Ask not what you can do for your students; ask what your students can do for YOU!’ 🙂 Incredibly, they are going to like both you and the lesson more! And that’s not all: on p. 26 we learn that giving students too much choice can backfire! (Moral: whether it is Readers or Essay Topics less is often more!) The ‘consistency’ principle (p. 56) suggests that to get students to do something ‘big’ it pays to start small; language benefits aside, when a student listens to the BBC News for 5 min or brings a single joke in class, they come to see themselves in a different light! And here is my favourite principle: ‘Labelling’ (p. 59) Simply telling people at random that they are above average in civic-mindedness made them more likely to vote! But what about learners? Amazingly telling children that they seemed to care about their handwriting made them practice – even when nobody was present! (p. 60) Excellent!